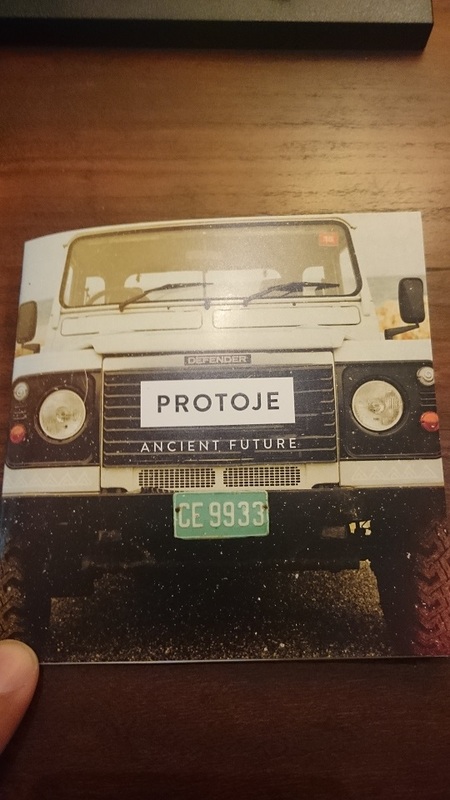 Protoje’s third studio album titled “Ancient Future” just dropped on March 10th. Reggae fans all over the world have been eagerly awaiting it’s release for months now. Originally scheduled for release in September 2014, the album was delayed due to issues acquiring the rights for various samples. 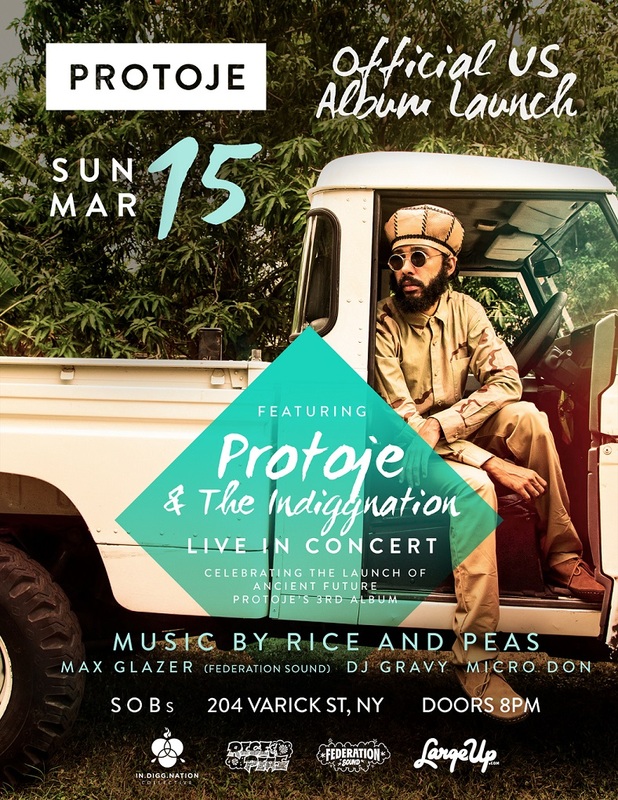 After an exclusive pre-release listening party at the Pegasus Hotel in Kingston, Jamaica on March 9th, Protoje decided to have his official album release party in New York City on March 15th. As luck would have it, NYC is a short flight from Toronto, and I happen to have a cousin who lives there making the logistics of such a journey relatively affordable. 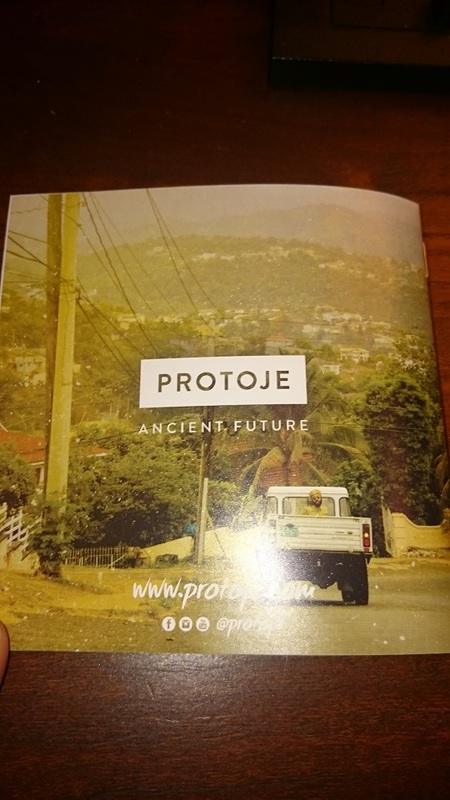 Protoje Ancient Future album launch in NYC. In addition to the concert at S.O.B.’s (Sounds of Brazil), there was an album signing session and pop-up shop at Miss Lily’s the day before the show. This was only announced a few days before the actual show, so it wasn’t something I was counting on when I booked my flight, but it was a very welcome surprise. My cousin and I arrived at Miss Lily’s shortly after 4pm and luckily it wasn’t too packed yet. Protoje hadn’t shown up at that point, but it gave us some time to peruse the pop-up shop. 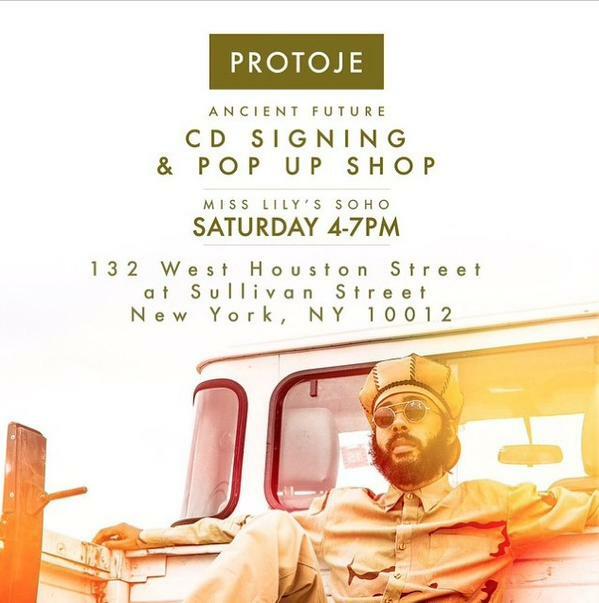 The section of Miss Lily’s dedicated to the album signing was a small rectangular room, but it was filled with Protoje gear and copies of the “Ancient Future” CD. There were two Ancient Future themed T-shirts (which I bought) and the rest was older stuff that has actually been discontinued on his website (www.protoje.com) so it was a good opportunity for those who didn’t get a chance to get that stuff online. Besides the T-shirts and CDs, there was lots of other reggae memorabilia, although I’m not entirely sure if it was for sale or not. The most prominent display was a collection of painted portraits of some of the artistes that are a part of the Reggae Revival (Protoje, Chronixx, Kabaka Pyramid, and others). I thought the portraits were incredibly well done, but alas, even if they had been for sale, there would have been no way for me to take them home in my carry-on luggage. On the other side of the room, there was a wall with racks of vintage vinyl, and some unique books about reggae. The whole place had a very cool vibe, and I would have taken more pictures, but unfortunately I only brought my portrait lens with me, which made it difficult since there wasn’t much room to maneuver. Once the album signing session started, the place had become pretty full and a line up had formed. To our amazement, he wasn’t simply signing the CDs and allowing a quick photo op, he was actually sitting down and chatting with each fan for a few minutes. Again, this is not at all what I was expecting. I figured there would be so many people that it would be nothing more than an assembly line. We were so close to the front of the line that by the time it was my turn to meet him, I simply did not have enough time to process the awesomeness of the situation. 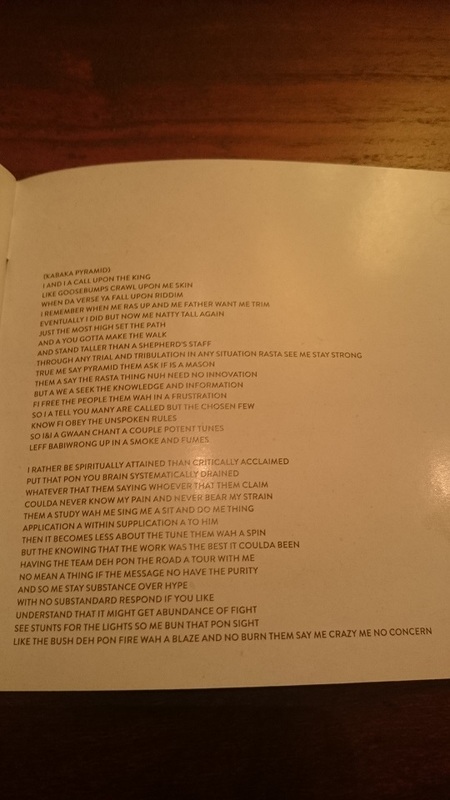 As a result, I had nothing of any real substance to say, other than letting him know that I loved the album as well as his previous show in Miami. In hindsight, there were a ton of questions I would have liked to ask him, but I suppose they will have to wait till next time. The Rice & Peas DJ crew did a commendable job keeping the crowd entertained while we waited for the main event. They played some classic rootsy tunes, which set the tone perfectly for the show to come. 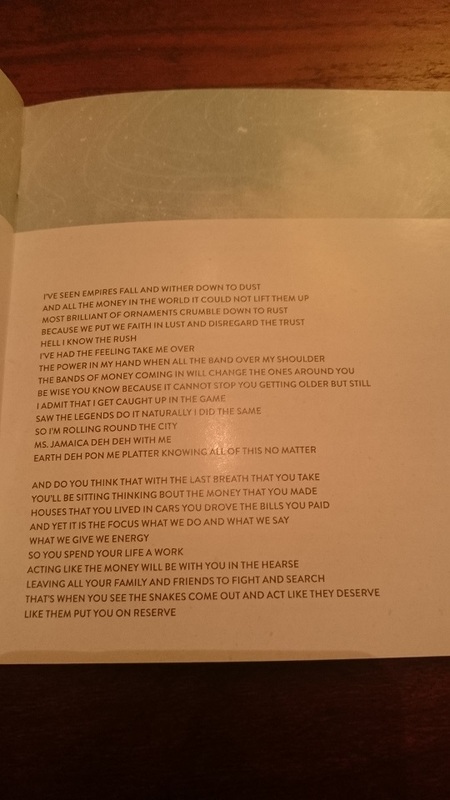 At one point, they played what seemed like a minute or two of almost every single Buju Banton track from “Til Shiloh” which is one of my favorite reggae albums of all time. It’s hard to overstate the significance this album had on my life when I first heard it as a teenager. It was in fact my introduction to conscious reggae music and Rastafari. 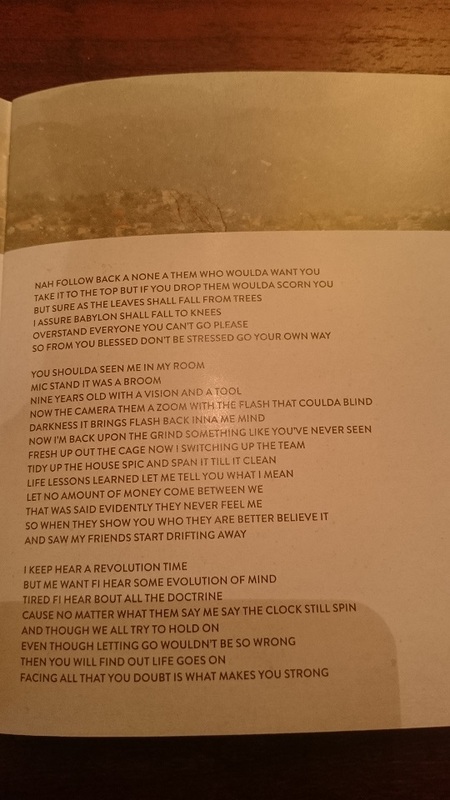 For most people, that introduction comes via Bob Marley. I had heard of Bob Marley before of course, but other than hearing “Jamming” or “Is This Love?” once in a while on the radio, I really had no idea who he was or what he stood for. 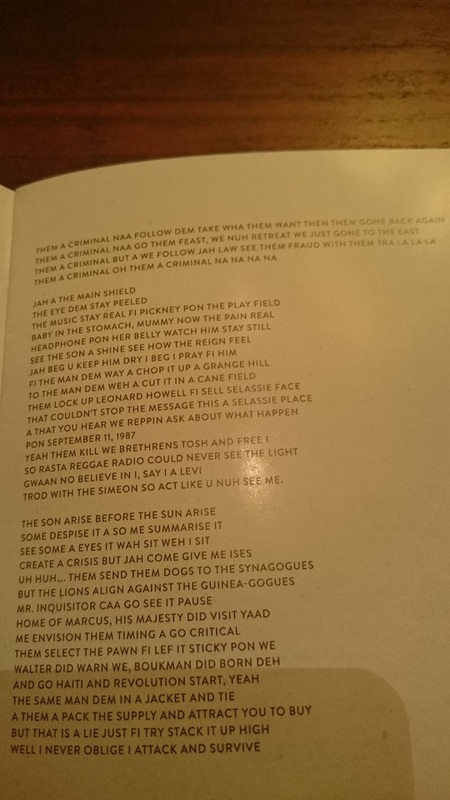 The funny thing is, when I bought that album 20 years ago I didn’t even know what roots reggae was, and I thought the album would have been dancehall oriented like his previous “Voice of Jamaica” album. Little did I know this album would introduce me to an entirely new type of sound that would end up having a profound impact on my life. 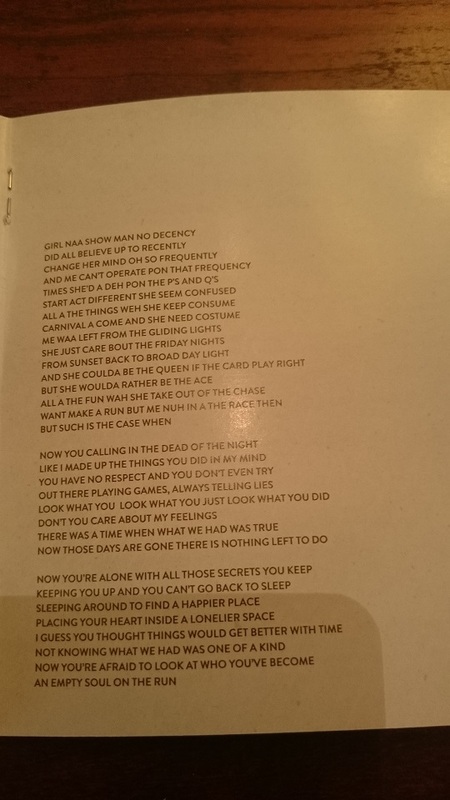 So needless to say, hearing that album playing right before the show was a special moment, and my cousin and I were both belting out the lyrics word for word at the top of our lungs. As in Miami, I would have to say the highlight of the show was the rendition of “Hail Rastafari”. The Indiggnation band, as usual, just KILLS this song! They did so despite the absence of lead guitarist Jason Lee Worton, who can shred it with the best of them. Vocalist Kerri Ann Lewis was also missing from this performance. I’m not sure if they are still a part of the Indiggnation collective or not, but they were definitely missed. The version of “Hail Rastafari” they played in NYC seemed to be slightly different than the one in Miami, but it’s hard to say for sure as I don’t have video of either performance. Personally, I’m not a huge fan of taking videos at concerts. I took a few short clips for the purposes of the blog (and to show my wife who could not be there), but in general, I find it just diminishes the experience because you are not really able to be in the moment. Also, there was a videographer present at the concert as well, so again, there is much higher quality footage out there than what I could possibly produce with my own camera. The question is, when (if ever) will it be released. My bet is that it will probably stay in the artists personal archives, and perhaps be saved for future use such as documentaries. The thing I find particularly fascinating about artists in this day and age is that there can literally be an audio/video record of their entire career if they so wish. Contrast that to other eras, where concert footage is rare, let alone professionally captured high resolution footage. For example, the Marley family recently released “Easy Skanking in Boston 78” on Blu-Ray which contains about 45 minutes of footage from a concert that Bob did in Boston in 1978. It was filmed by a fan in the front row though, not a dedicated videographer. Anyways, I’m digressing here, but the implications of this are something worth thinking about in terms of the impact to the legacy of an artist. Overall the concert, the crowd, the venue and the vibes were just plain great. For those who haven’t heard the album yet, I would highly recommend buying it (it can be purchased on iTunes or Google Play). I bought a digital copy of the album from Google Play which I believe allows me to share one free listen with anyone on Google+ so link me if you’d like to check it out first. I guarantee you will not be disappointed. 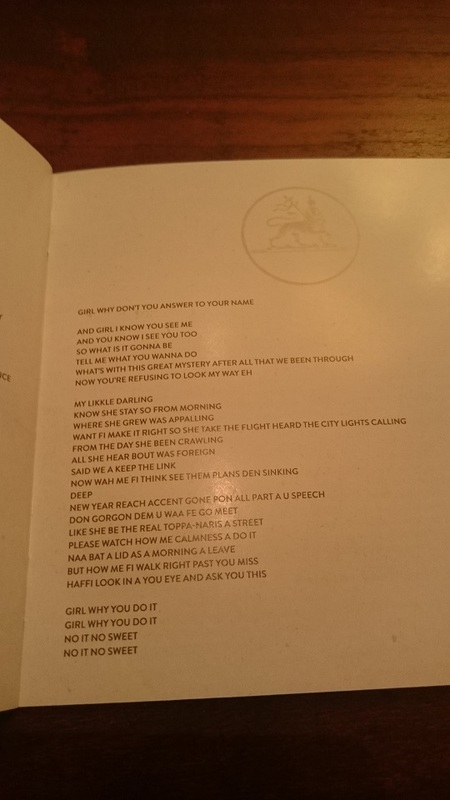 The album title actually says a lot about this album sonically. It’s an homage to previous eras of Jamaican music presented with a distinctly modern sound courtesy of producer Winta James. 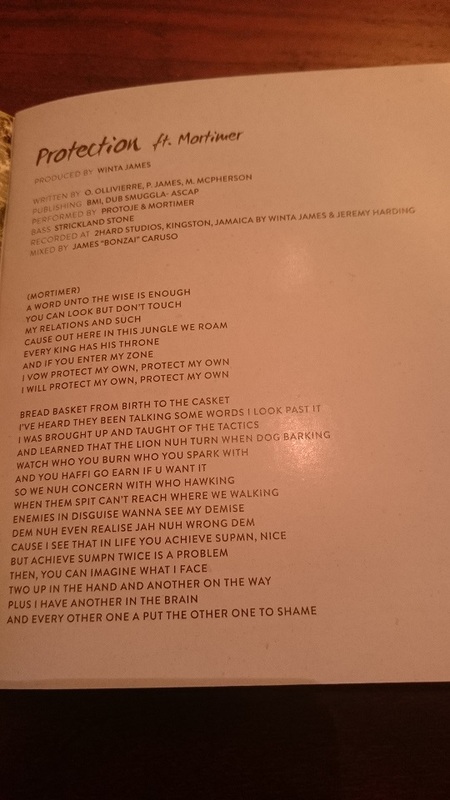 The first track on the album is called “Protection” and features the sublime vocals of Mortimer McPherson. As soon as you hear the opening notes, you realize what the Ancient Future is all about. 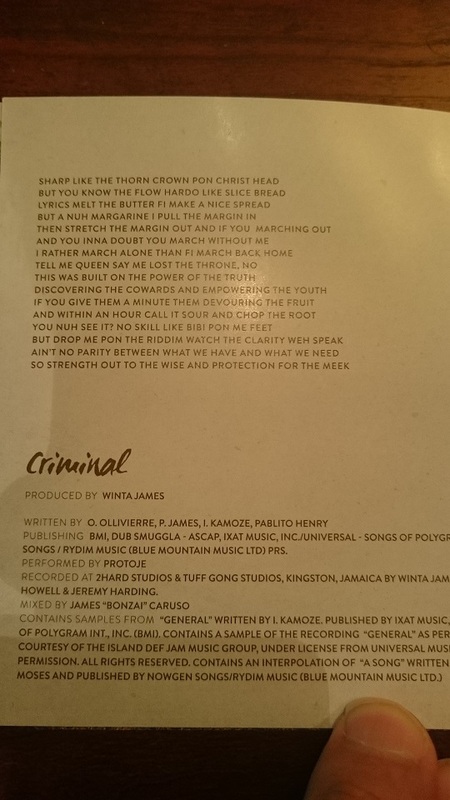 The second tune is called “Criminal” and it’s a super catchy song which samples an Ini Kamoze track called “General”. 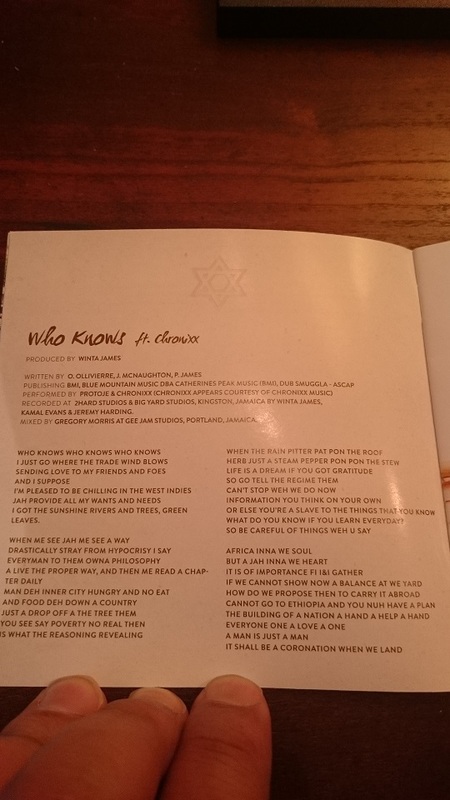 The third track (“Who Knows”) requires no introduction as it was the reggae anthem of 2014. 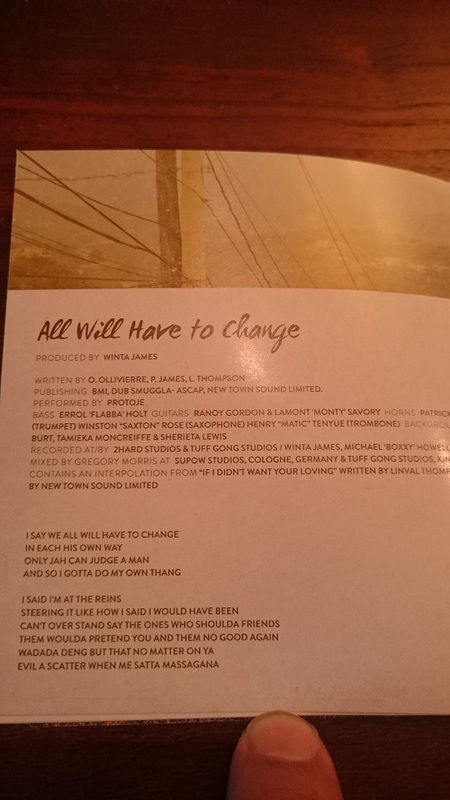 “All Will Have To Change” is an introspective track that slows down the pace a little. 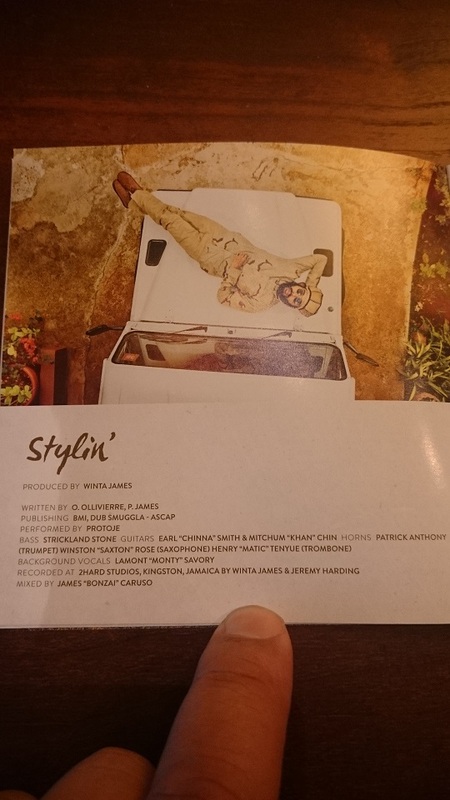 “Stylin” was the second single released off this album back in October, and discussed in a previous post on TickuTalk.com here. 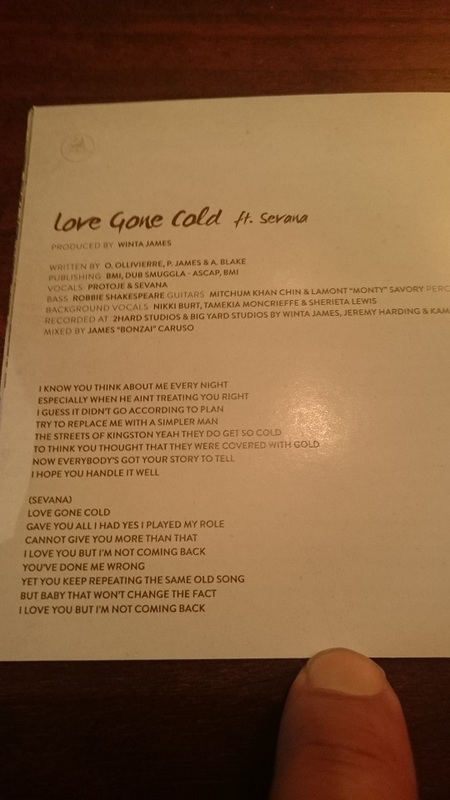 “Love Gone Cold” is one of my favorite tracks on the album and features the soaring vocals of Sevana. Sevana is a new artist whose first single “Bit Too Shy” was produced by Protoje (the single was also reviewed here on TickuTalk.com). 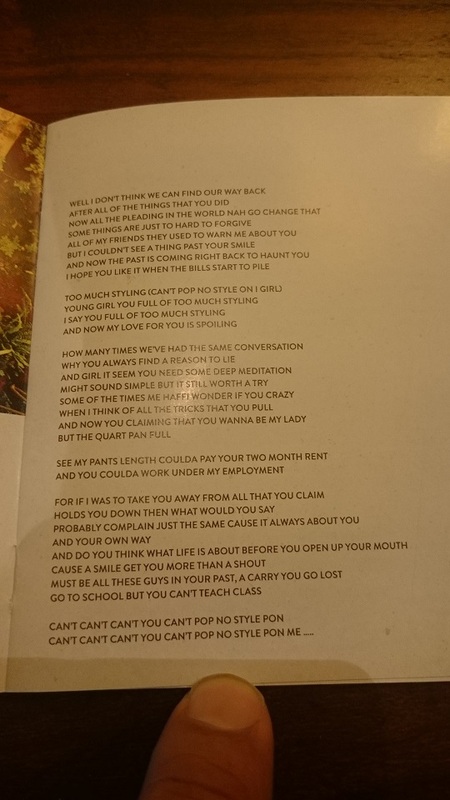 The song is a lovers lament, but uncharacteristically fast paced, and almost reminiscent of a disco track. Another prime example of an ancient sound modified for the future. 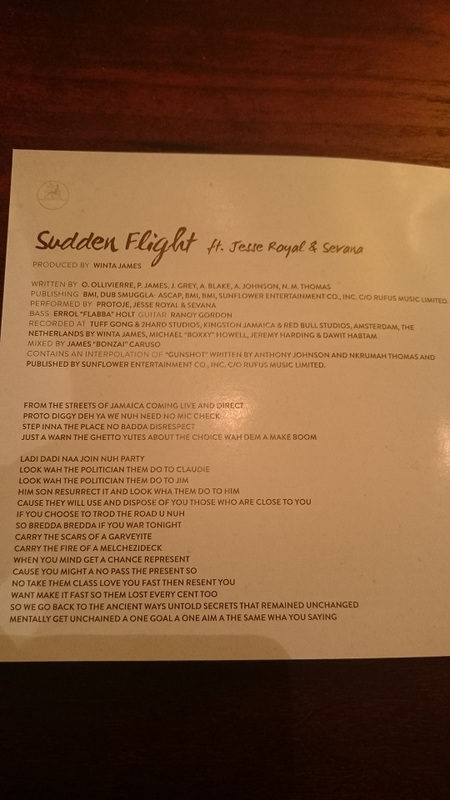 “Sudden Flight” also features Sevana’s powerful vocals, in addition to the melodic voice of Jesse Royal. 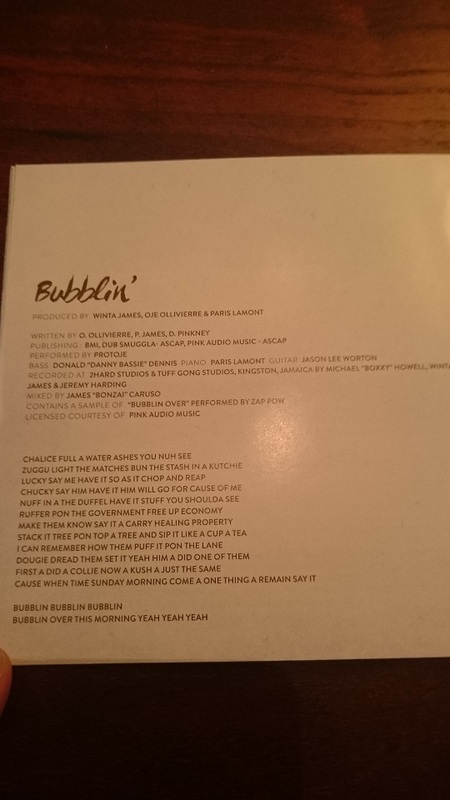 “Bubblin” is a track actually produced by Protoje himself, and samples a song with a similar name by Zap Pow. 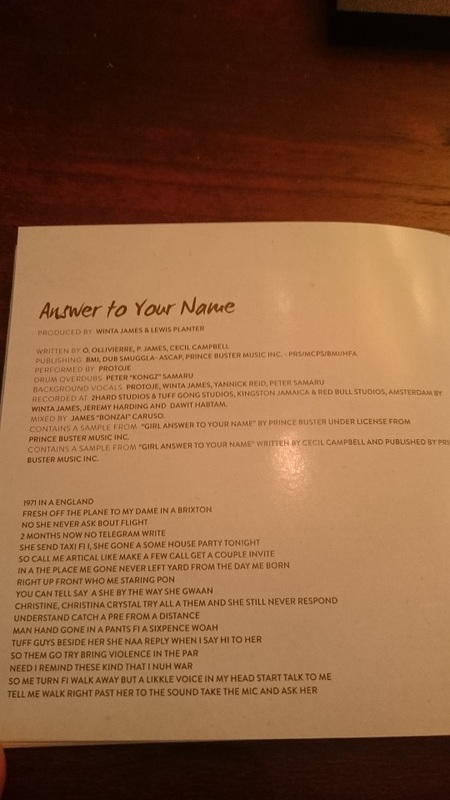 “Answer To Your Name” was the third single released from the album. It’s an upbeat ska track that covers a Prince Buster song called “Girl” (a live BBC 1Xtra studio session of this track was also posted on TickuTalk.com here). 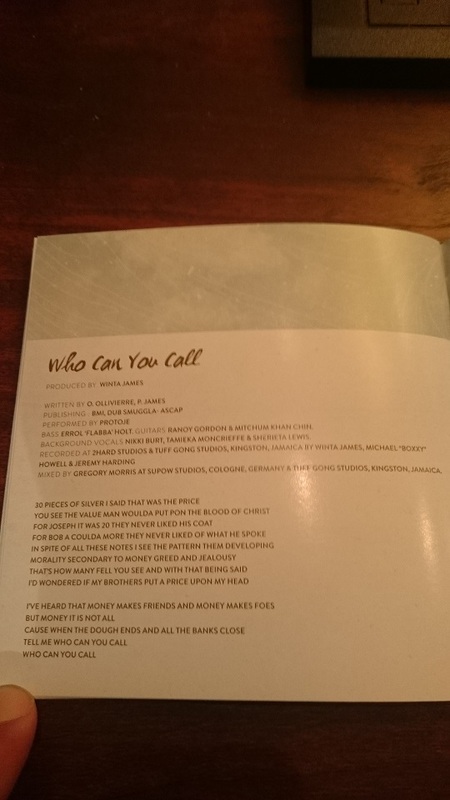 The penultimate track “Who Can You Call” was apparently inspired by a viewing of Kevin MacDonald’s “Marley” documentary. 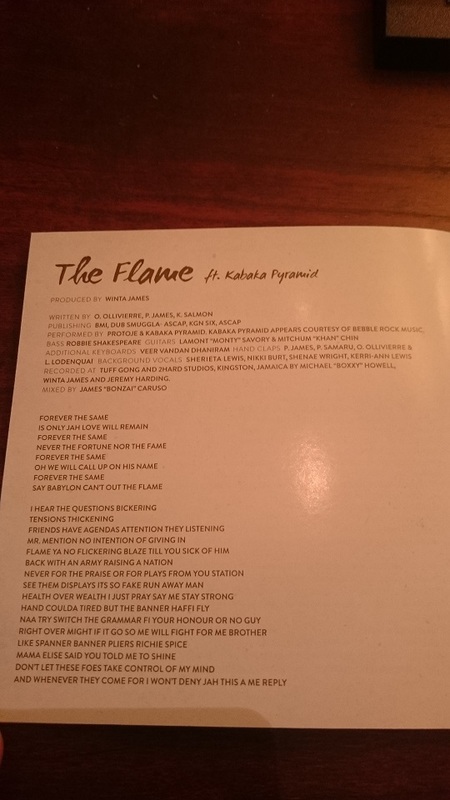 The album ends with a track called “The Flame” which features the lyrical prowess of Kabaka Pyramid. I’m still getting used to this rock heavy track because I haven’t listened to it very much yet. Honestly, the album is so good, I keep going back to the beginning before it even gets close to finishing. There was a great interview done by UnitedReggae.com in which Protoje goes over the whole album, track by track, explaining his influences and inspiration. 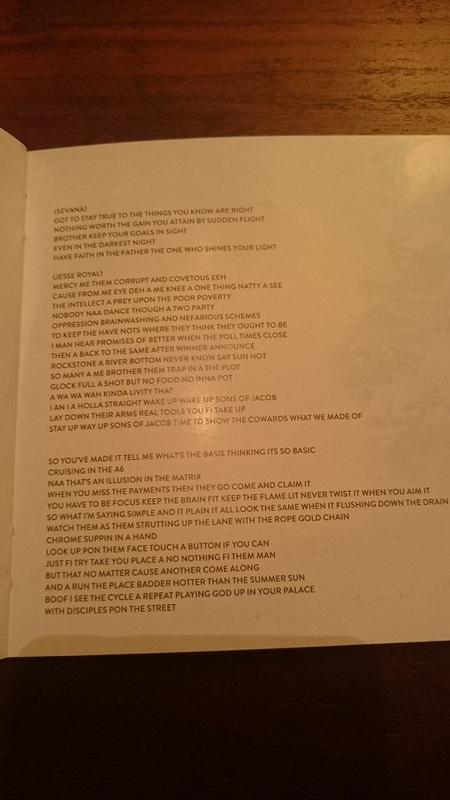 Lastly, if you were only able to buy a digital copy of the album, I took some pictures of the contents of the lyrics booklet in the CD. 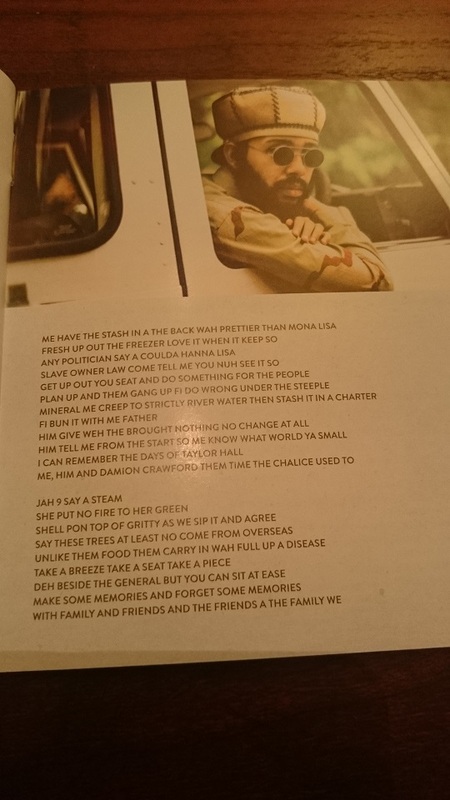 The most important part of Protoje’s music is his message, and since he went out of his way to make the lyrics accessible (especially for those that may be new to reggae and have trouble understanding them), I felt it was my duty to share them and help spread the love and positive vibrations.